» SPIN Magazine's "Lost's 12 Best Musical Moments Ever"
EPISODE 13 "THE LAST RECRUIT"
EPISODE 12 "EVERYBODY LOVES HUGO"
EPISODE 11 "HAPPILY EVER AFTER"
Claudio Arrau "Impromptu No. 4 In C-Sharp Minor, Op. 66: Fantaisie-Impromptu" [? ], Track [?] David Shepard is seen performing this piece and possessing a copy in his room. [?] "[?]" [? ], Track [?] Jack arrives at the concert hall. Iggy Pop "Search And Destroy" [? ], Track [?] Sawyer. EPISODE 03 "WHAT KATE DOES"
EPISODE 15 "FOLLOW THE LEADER"
EPISODE 13 "SOME LIKE IT HOTH"
EPISODE 12 "DEAD IS DEAD"
EPISODE 11 "WHATEVER HAPPENED, HAPPENED"
[Evangeline Lilly] "Catch a Falling Star" [? ], Track [?] Kate sings. EPISODE 10 "HE'S OUR YOU"
EPISODE 07 "THE LIFE AND DEATH OF JEREMY BENTHAM"
EPISODE 05 "THIS PLACE IS DEATH"
EPISODE 04 "THE LITTLE PRINCE"
Cheap Trick "Dream Police" Dream Police, Track 1 Hurley buys new clothes. EPISODE 01 "BECAUSE YOU LEFT"
Willie Nelson "Shotgun Willie" Shotgun Willie, Track 1 Miles' father listens on his record player. The Pixies "Gouge Away" Xanadu, Track 15 Jack in his jeep / about to open the coffin. Buddy Holly "Everyday" The Buddy Holly Collection, Disc 1, Track 19 Hurley turns on a movie. EPISODE 10 "SOMETHING NICE BACK HOME"
EPISODE 09 "THE SHAPE OF THINGS TO COME"
EPISODE 09 "MEET KEVIN JOHNSON"
EPISODE 09 "THE OTHER WOMAN"
Olivia Newton-John "Xanadu" Xanadu, Track 10 Hurley turns on a movie. EPISODE 09 "THE BEGINNING OF THE END"
EPISODE 23 "THROUGH THE LOOKING GLASS"
Nirvana "Scentless Apprentice" [? ], Track [?] Jack in his Jeep. EPISODE 22 "LOST: THE ANSWERS"
EPISODE 20 "THE MAN BEHIND THE CURTAIN"
Three Dog Night "Shambala" Complete Hit Singles, Track 16 Ben in the VW bus with Dad. EPISODE 16 "ONE OF US"
Petula Clark "Downtown" Downtown: Best of Petula Clark, Disk 1, Track 3 Juliet flashes back. Patsy Cline "Walkin' After Midnight" [? ], Track [?] Kate. EPISODE 13 "THE MAN FROM TALLAHASSEE"
EPISODE 10 "TRICIA TANAKA IS DEAD"
Three Dog Night "Shambala" Complete Hit Singles, Track 16 Young Hurley in the car. Wolfgang Amadeus Mozart "Sonate in A KV 331" [? ], Track [?] Hurley has dinner with both his parents. EPISODE 09 "STRANGER IN A STRANGE LAND"
Irving King "Show Me the Way to Go Home" [? ], Track [?] Sawyer sings to himself. EPISODE 08 "FLASHES BEFORE YOUR EYES"
Sarah McLachlan "Building a Mystery" [? ], Track [?] Tying Desmond's tie. Mama Cass Elliot "Make Your Own Kind of Music" Mama's Big Ones: The Best of, Track 3 Jukebox song. [Oasis] "Wonderwall" [? ], Track [?] Charlie sings. EPISODE 07 "NOT IN PORTLAND"
Ann-Margret "Slowly" Let Me Entertain You, Track 12 Kate's veil. EPISODE 05 "THE COST OF LIVING"
Brenda Lee "I Wonder" The Definitive Collection, Track 19 Colleen's funeral. EPISODE 04 "EVERY MAN FOR HIMSELF"
The Whiteley Brothers "Feel Like Going Home" Bluesology, Track 8 Drivin' in Locke's Dodge Ram. EPISODE 02 "THE GLASS BALLERINA"
EPISODE 01 "A TALE OF TWO CITIES"
Petula Clark "Downtown" Downtown: Best of Petula Clark, Disk 1, Track 3 Opening Scenes: Meet Juliet. Glenn Miller "Moonlight Serenade" Greatest Hits, Track 2 Jack watched Sara at the playground. EPISODE 24 "LIVE TOGETHER, DIE ALONE (PART 2)"
EPISODE 23 "LIVE TOGETHER, DIE ALONE (PART 1)"
The Seeds "Pushin' Too Hard" ?, Track ? "Got Milk?" EPISODE 20 "TWO FOR THE ROAD"
Patsy Cline "Walkin' After Midnight" [? ], Track [?] Christian and Ana drive to his "daughter"'s house. Kasey Chambers "The Hard Way" The Captain, Track 9 Christian and Ana at the bar. Otis Redding "These Arms Of Mine" The Very Best of, Track 1 Closing Scenes. Les McCann & Eddie Harris "Compared to What" ?, Track ? Locke on the bike in the hatch. EPISODE 16 "THE WHOLE TRUTH"
Perry Como "Catch a Falling Star" The Very Best of, Track 19 Claire spins the mobile above the baby's crib. EPISODE 14 "ONE OF THEM"
EPISODE 13 "THE LONG CON"
Glenn Miller "Moonlight Serenade" Greatest Hits, Track 2 Hurley and Sayid try to use the radio. EPISODE 12 "FIRE + WATER"
The Kinks "He's Evil" Preservation: Act 2, Track 9 Fishing with Jin, Charlie sings a Kinks song. EPISODE 11 "THE HUNTING PARTY"
EPISODE 10 "THE 23RD PSALM"
(The Kinks) "He's Evil" Preservation: Act 2, Track 9 Fishing with Jin, Charlie sings a Kinks song. EPISODE 09 "WHAT KATE DID"
Skeeter Davis "The End of the World" [? ], Track [?] Kate stops at the diner to say goodbye to her mom. Patsy Cline "Walkin' After Midnight" [? ], Track [?] Kate cares for Sawyer. Staind "Outside" Break the Cycle, Track 11 Ana Lucia lies in wait at the bar. EPISODE 07 "THE OTHER 48 DAYS"
Dave Matthews band "Stay (Wasting Time)" Before These Crowded Streets, Track 5 Shannon opens her internship acceptance letter. EPISODE 04 "EVERYBODY HATES HUGO"
The Uniques "My Conversation" Blessed Love, Track [?] Hurley's dream. Billy Joel "Easy Money" An Innocent Man, Track 1 Gnome-ing Randy's lawn. Solly "Waste Awhile" Get It Wrong It's Alright, Track 4 Starla's Record Store. The Drifters "Up On the Roof" [? ], Track [?] Hurley and Rose do inventory. Mama Cass Elliot "Make Your Own Kind of Music" Mama's Big Ones: The Best of, Track 3 Down the hatch from another perspective. EPISODE 01 "MAN OF SCIENCE, MAN OF FAITH"
Mama Cass Elliot "Make Your Own Kind of Music" Mama's Big Ones: The Best of, Track 3 Down the hatch. EPISODE 24 "EXODUS (PT 2-3)"
(Bob Marley) "Redemption Song" Legend, Track 12 Sawyer on the raft. EPISODE 23 "EXODUS (PT 1)"
EPISODE 22 "BORN TO RUN"
EPISODE 21 "THE GREATER GOOD"
(James Brown) "I Got You (I Feel Good)" 20 All-Time Greatest Hits!, Track 1 Hurley sings to Claire's baby. EPISODE 20 "DO NO HARM"
n/a "[?]" [? ], Track [?] Jack tinkers at the hotel piano before being interrupted by his pj'd-fiancé. n/a "Heart and Soul" [? ], Track [?] Jack and his fiancé Sarah play a duet on the hotel piano. EPISODE 19 "DEUS EX MACHINA"
[?] "[?]" [? ], Track [?] Hurley rolls up in his H2. Damien Rice "Delicate" O, Track 1 Closing Scenes. Otis Redding "These Arms of Mine" The Very Best of, Track 1 Final Scenes. EPISODE 13 "HEARTS AND MINDS"
EPISODE 12 "WHATEVER THE CASE MAY BE"
n/a La Mer ("Beyond The Sea" en français) Charles Trenet: La Mer, Track 7 Shannon sings the closing credits song (dubbed in french) from FINDING NEMO. EPISODE 11 "ALL THE BEST COWBOYS HAVE DADDY ISSUES"
EPISODE 10 "RAISED BY ANOTHER"
Blind Boys of Alabama "I Shall Not Walk Alone" Higher Ground, Track 11 Closing scenes. Drive Shaft "You All Everybody" n/a | Written by Chris Seefried Drive Shaft performs. EPISODE 06 "HOUSE OF THE RISING SUN"
Willie Nelson "Are You Sure" Crazy: The Demo Sessions, Track 7 Separate campfires: The caves and the beach. Patsy Cline "Leavin' On Your Mind" Greatest Hits, Track 12 "Annie" and Ray drive to the train station. Joe Purdy "Wash Away" Julie Blue, Track 1 Closing scenes. EPISODE 02 "PILOT (PART 2)"
EPISODE 01 "PILOT (PART 1)"
This site has no official affiliation with "Lost," ABC or anything otherwise related to the show, its cast or crew. 05.04.10 :: 614 "THE CANDIDATE" [NEW] Jack's suspicions about Locke make his decision more difficult after he is asked to complete a difficult task. 04.20.10 :: 613 "THE LAST RECRUIT" [NEW] Alliances are made and broken as the Locke and Jack camps merge. 04.13.10 :: 612 "EVERYBODY LOVES HUGO" [NEW] Hurley worries over what the group should do next, and Locke is curious about the new arrival to his camp. 04.06.10 :: 611 "HAPPILY EVER AFTER" [NEW] Desmond wakes up and discovers he has returned to the island. 03.30.10 :: 610 "THE PACKAGE" [NEW] Sun and Jin face various obstacles on the island in their quest to be together -- in two universes. 03.23.10 :: 609 "AB AETERNO" [NEW] Richard Alpert faces a difficult choice. 03.16.10 :: 608 "RECON" [NEW] Locke trusts Sawyer with a mission. 03.09.10 :: 607 "DR. LINUS" [NEW] Ben deals with the consequences of an uncovered lie. 03.02.10 :: 606 "SUNDOWN" [NEW] Sayid faces a difficult decision, and Claire sends a warning to the temple inhabitants. 02.23.10 :: 605 "LIGHTHOUSE" [NEW] Hurley must convince Jack to accompany him on a mission, and Jin comes across an old acquaintance. 02.16.10 :: 604 "THE SUBSTITUTE" [NEW] Locke goes in search of aid to further help his cause. 02.09.10 :: 603 "WHAT KATE DOES" [NEW] Kate finds herself on the run, while Jack is tasked with something that could put a friend's life at risk. 02.02.10 :: 601-02 "LAX" [NEW - SIXTH SEASON PREMIERE] The aftermath from Juliet's detonation of the hydrogen bomb is revealed. 05.13.09 :: 516-17 "THE INCIDENT" [NEW] Jack's decision to put a plan in action in order to set things right on the island is met with some strong resistance by those close to him. Locke assigns Ben a difficult task. 05.06.09 :: 515 "FOLLOW THE LEADER" [NEW] Jack and Kate find themselves at odds over the direction to take to save their fellow island survivors, Locke further solidifies his stance as leader of "The Others," and Sawyer and Juliet come under scrutiny from the DHARMA Initiative. 04.29.09 :: 514 "THE VARIABLE" [NEW] The time of reckoning has begun when Daniel Faraday comes clean regarding what he knows about the island. 04.15.09 :: 513 "SOME LIKE IT HOTH" [NEW] Suspicions about a possible breach intensify after Ben is taken from the infirmary, and a reluctant Miles is forced to work with Hurley when he's asked to deliver an important package to a top DHARMA official. 04.08.09 :: 512 "DEAD IS DEAD" [NEW] To atone for sins of the past, Ben must attempt to summon the smoke monster in order to be judged. 04.01.09 :: 511 "WHATEVER HAPPENED, HAPPENED" [NEW] Kate, Sawyer and Juliet try to save Ben. Kate starts to tell the truth about the lie in order to keep Aaron from harm. 03.25.09 :: 510 "HE'S OUR YOU" [NEW] Everyone on the island is at risk when one of the survivors decides to go against them and take matters into their own hands. 03.18.09 :: 509 "NAMASTE" [NEW] After meeting old acquaintances Sawyer is forced to continue lying to protect them. 03.04.09 :: 508 "LAFLEUR" [NEW] Sawyer and other island survivors perpetuate a lie to protect themselves from mistakes of the past. 02.25.09 :: 507 "THE LIFE AND DEATH OF JEREMY BENTHAM" [NEW] Locke (as Jeremy Bentham) takes a fateful mission off the island. 02.18.09 :: 506 "316" [NEW] The Oceanic 6 learn how they'll be able to return to the island, but not all of them want to make the journey. 02.11.09 :: 505 "THIS PLACE IS DEATH" [NEW] Locke takes it upon himself to stop the island's increasingly violent shifts through time. Meanwhile, Ben hits a snag in his attempt to reunite the Oceanic 6 and bring them back to the island. 02.04.09 :: 504 "THE LITTLE PRINCE" [NEW] Kate discovers that someone knows the identity of Aaron's parents. On the island, the dramatic shifts through time place the remaining survivors in extreme peril. 01.28.09 :: 503 "JUGHEAD" [NEW] Locke finds out the identity of the forces who have been attacking the survivors, and Desmond searches for a woman who could be the key to helping Faraday stop the island's erratic movements through time. 01.21.09 :: 502 "THE LIE" [NEW - PART II] On the island, the remaining survivors come under attack by unknown forces. And in L.A., Hurley and Sayid remain on the run from police while Kate (who's on the run from lawyers wanting her and Aaron to take DNA tests) gets advice from an old friend concerning "the lie." Meanwhile, Ben tells Jack to pack everything dear to him for their return to the island, because "you're never coming back." 01.21.09 :: 501 "BECAUSE YOU LEFT" [NEW - PART I] Jack and Ben begin their quest to reunite the Oceanic 6 for a return to the island (carrying Locke's body with them) to save the remaining survivors, while those survivors feel the effects of the island's move. Meanwhile, Hurley and Sayid are on the run from police; Kate gets an unwelcome request from a mysterious lawyer; and Sun and Charles Widmore have an unpleasant meeting, but it turns out that they have a common goal. 05.29.08 :: 413-14 "THERE'S NO PLACE LIKE HOME (PART II & III)" [NEW] The face-off continues between the survivors and the freighter people, and the Oceanic 6 find themselves ever closer to rescue. 05.15.08 :: 412 "THERE'S NO PLACE LIKE HOME (PART I)" [NEW] The showdown between the survivors and the freighter people begins. And in flash-forwards, the Oceanic 6 return to the U.S.
05.08.08 :: 411 "CABIN FEVER" [NEW] Locke discovers the location of Jacob's cabin, and life aboard the freighter becomes increasingly perilous. 05.01.08 :: 410 "SOMETHING NICE BACK HOME" [NEW] Jack's health is seriously compromised, forcing Kate and Juliet to work together to save him. Meanwhile, something goes wrong as Sawyer, Claire, Aaron and Miles continue their trek from Locke's camp to the beach. 04.24.08 :: 409 "THE SHAPE OF THINGS TO COME" [NEW] Locke's camp comes under attack, and Jack tries to identify a body that has washed ashore. 03.20.08 :: 408 "MEET KEVIN JOHNSON" [NEW] Ben knows about an impending attack, so he prompts daughter Alex to escape from Locke's camp. On the freighter, Sayid confronts Ben's spy. 03.13.08 :: 407 "JI YEON" [NEW] Juliet is forced to reveal startling news to Jin when Sun threatens to go to Locke's camp; Sayid and Desmond begin to get an idea of the freighter crew's mission when they meet the ship's captain. 03.06.08 :: 406 "THE OTHER WOMAN" [NEW] Juliet receives an unwelcome visitor from her past and is told to track down Charlotte and Faraday and stop them from completing their mission; Ben offers Locke a deal he finds enticing. 02.28.08 :: 405 "THE CONSTANT" [NEW] Sayid and Desmond run into turbulence on their way to the freighter, causing Desmond to suffer unusual side effects. 02.21.08 :: 404 "EGGTOWN" [NEW] While Locke tries to get information from Ben, Kate's need to get information from Locke's other hostage, Miles, could jeopardize her standing with both Locke and Sawyer. And back at the beach, the castaways haven't received word on Sayid and Desmond. Flash-forwards follow Kate. 02.14.08 :: 403 "THE ECONOMIST" [NEW] Locke's hostage could be the key to getting off the island, so Sayid and Kate search for their fellow castaway in an attempt to negotiate a peaceful deal. Flash-forwards follow Sayid. 02.07.08 :: 402 "CONFIRMED DEAD" [NEW] The survivors begin to question the intentions of their supposed rescuers when four strangers arrive on the island. 01.31.08 :: 401 "THE BEGINNING OF THE END" [NEW - 4TH SEASON PREMIERE] The castaways await rescue by the people with whom they have made contact, but are troubled by Charlie's final warning about them. 01.31.08 :: 400 "PAST, PRESENT & FUTURE" [NEW - RECAP] Recap of the series to date. 05.23.07 :: 323 "THROUGH THE LOOKING GLASS" [NEW - 3RD SEASON FINALE] Jack and the other castaways begin efforts to contact Naomi's rescue ship. 05.17.07 :: 322 "LOST: THE ANSWERS" [NEW] A series recap exploring questions that have been answered and those that haven't. Executive producers Carlton Cuse and Damon Lindelof host. 05.16.07 :: 321 "GREATEST HITS" [NEW] Jack devises a battle plan for the looming assault by the Others, and Sayid uncovers a flaw in the Others' system that could lead to everyone's rescue. But it means Charlie must take on a dangerous task, which could make Desmond's premonition come true. 05.09.07 :: 320 "THE MAN BEHIND THE CURTAIN" [NEW] Ben begrudgingly begins to let Locke in on the island's secrets. The first one involves the mysterious Jacob. Meanwhile, Juliet's secret is out. 05.02.07 :: 319 "THE BRIG" [NEW] Locke breaks away from the Others in an attempt to persuade Sawyer to help him get rid of a major thorn in both their sides; Naomi tells Sayid, Hurley, Desmond and Charlie about what brought her to the island; and the Others plan a raid on the castaways' camp. 04.25.07 :: 318 "D.O.C." [NEW] Sun learns the identity of her unborn child's father after Juliet examines her; Desmond allows an unlikely enemy to help save the life of another mysterious island inhabitant. 04.18.07 :: 317 "CATCH-22" [NEW] Desmond talks Hurley, Jin and a very troubled Charlie into accompanying him on a journey across the jungle after experiencing another one of his prophetic flashes. And Kate turns to Sawyer after seeing Jack alone with Juliet. 04.11.07 :: 316 "ONE OF US" [NEW] Jack's happy reunion with his fellow castaways is cut short when they realize he's accompanied by Juliet; and Claire is stricken by a mysterious, life-threatening illness. 04.04.07 :: 315 "LEFT BEHIND" [NEW] Locke betrays Kate, who ends up in the jungle handcuffed to Juliet. Back at camp, Hurley warns Sawyer that he faces banishment unless he changes his selfish ways. In flashbacks, Kate tries to find out why her mother betrayed her, and gets help from con artist Cassidy Phillips. 03.28.07 :: 314 "EXPOSÉ" [NEW] Hurley begins to suspect that Sawyer might be involved in a mystery surrounding two fellow survivors, and Sun learns the truth about her kidnapping attempt by the Others. 03.21.07 :: 313 "THE MAN FROM TALLAHASSEE" [NEW] Claire becomes suspicious of Charlie when he behaves strangely after she comes up with an idea that could get everybody rescued; tension mounts between Sayid and Locke as they (along with Kate, Rousseau and eye-patch guy Mikhail) run into an electronic obstacle during their trek to rescue Jack. 03.14.07 :: 312 "PAR AVION" [NEW] Claire becomes suspicious of Charlie when he behaves strangely after she comes up with an idea that could get everybody rescued; tension mounts between Sayid and Locke as they run into an electronic obstacle during their trek to rescue Jack. 03.07.07 :: 311 "ENTER 77" [NEW] Locke, Sayid and Kate investigate a strange structure and its mysterious occupant; Sawyer competes in a table-tennis competition to get his belongings back. 02.28.07 :: 310 "TRICIA TANAKA IS DEAD" [NEW] Hurley's discovery of a wrecked car sends him on a mission of hope -- for himself and the troubled Charlie, who's freaked out about Desmond's prediction of his demise. And Kate and Sawyer reunite with their fellow castaways, but Kate is still torn about leaving Jack behind with the Others. 02.21.07 :: 309 "STRANGER IN A STRANGE LAND" [NEW] As Jack and the Others engage in a power play, Juliet's future is hanging in the balance; Kate, Sawyer and Karl continue on their flight from "Alcatraz." 02.14.07 :: 308 "FLASHES BEFORE YOUR EYES" [NEW] A suspicious Hurley enlists Charlie to help him drag the truth out of Desmond, who has been acting strangely---and presciently (�he sees the future, dude,� Hurley says)---ever since the hatch implosion. 02.07.07 :: 307 "NOT IN PORTLAND" [NEW] On the operating table, Ben's life is in Jack's hands, but the doc's gambit to free Kate and Sawyer hits a geographical snag. Still, the runaways elude Danny and the other guards, with the help of unlikely allies. 11.08.06 :: 306 "I DO" [NEW] Jack makes a decision about Ben's offer, and Kate fears that Pickett may make good on his threat to kill Sawyer. 11.01.06 :: 305 "THE COST OF LIVING" [NEW] A delirious Eko wrestles with demons from his past, while Locke heads a search party for the missing castaways. 10.25.06 :: 304 "EVERY MAN FOR HIMSELF" [NEW] Sawyer discovers just how far his captors will go to thwart any plans of escape he and Kate might have, and Jack is called upon to scrub up in order to save the life of one of "The Others." Meanwhile, Desmond's behavior begins to perplex the survivors when he starts construction on an unknown device. 10.18.06 :: 303 "FURTHER INSTRUCTIONS" [NEW] The fates of Locke, Eko and Desmond are revealed after the implosion of the hatch. 10.11.06 :: 302 "THE GLASS BALLERINA" [NEW] Sayid places Sun and Jin's lives in danger while trying to locate Jack, while Jack gets a tempting offer from his captors. 10.04.06 :: 301 "A TALE OF TWO CITIES" [NEW] Jack, Kate and Sawyer must deal with their pasts, as they are held captive by "The Others" in mysterious prisons which remind them of their pre-island lives. LOST will be rerunning sporadically during the summer. Check your local listings. 05.24.06 :: 224 "LIVE TOGETHER, DIE ALONE (PART 2)" [NEW] Eko and Locke come to blows as Locke makes a potentially cataclysmic decision regarding the "button" and the hatch. Lastly, Desmond returns and he sheds some more light on his experience on the island in the three years prior to when Locke came down into that hatch. 05.24.06 :: 223 "LIVE TOGETHER, DIE ALONE (PART 1)" [NEW] After discovering something odd just offshore, Jack and Sayid come up with a plan to confront "The Others" and hopefully get Walt back. At the same time there will be an answer to the question of where Michael has been and resolution of him and Walt. 05.17.06 :: 222 "THREE MINUTES" [NEW] A determined Michael convinces Jack and several castaways to help him rescue Walt from "The Others." With Jack away, Locke is left in charge of the hatch and must decide if he should believe Henry and not push the button, risking everyone's safety. 05.10.06 :: 221 "?" [NEW] Mr. Eko has dreams about his brother leading him somewhere. He seeks Locke's help in finding a secret location, the question mark "? ", but both have a hard time getting along on the way there. Meanwhile, Jack and the other survivors grapple with the horrific situation in the hatch with the death of Ana-Lucia and Libby clinging to life. 05.03.06 :: 220 "TWO FOR THE ROAD" [NEW] After finding an exhausted Michael in the forest Jack and Kate bring him back to the main camp. When finally waking up, Michael has some new details about "The Others." Also, a lovestruck Hurley plans a date for Libby. Lastly, Henry tries to kill Ana-Lucia and now Ana-Lucia wants revenge. 04.12.06 :: 219 "S.O.S." [NEW] Rose is surprisingly and vehemently opposed to Bernard's plan to create an S.O.S. signal; romantic sparks are rekindled between Jack and Kate when they trek into the jungle to propose a "trade" with "The Others"; and Locke begins to question his faith in the island. 04.05.06 :: 218 "DAVE" [NEW] Libby lends a helping hand to Hurley to support him when he begins to think the island is having a strange effect on him. Locke's sense of purpose is shaken when the prisoner gives him new information about the hatch. 03.29.06 :: 217 "LOCKDOWN" [NEW] When the hatch suddenly takes on a life of its own, Locke is forced to enlist the help of an unlikely ally. Meanwhile, Ana Lucia, Sayid and Charlie go off into the jungle to find out the truth about Henry. 03.22.06 :: 216 "THE WHOLE TRUTH" [NEW] Sun wrestles with the thought of telling Jin a newfound secret that threatens to upset the entire balance of the survivors' community. Meanwhile, Locke enlists Ana Lucia to interrogate the prisoner in order to extract more information than he, Jack or Sayid could. 03.15.06 :: 106 "HOUSE OF THE RISING SUN" [R] :: Walt and the others are shocked when Michael is brutally beaten, but only the non-English-speaking Jin and Sun know the truth behind the attack. Meanwhile Kate, Jack, Sawyer and Sayid argue about where the survivors should camp: on the beach, where they're more likely to be seen, or in a remote inland valley where fresh water abounds; and Locke discovers Charlie's secret. 03.08.06 :: 112 "WHATEVER THE CASE MAY BE" [R] Jack, Kate and Sawyer fight over possession of a newly discovered locked metal briefcase which might contain insights into Kate's mysterious past. Meanwhile, Sayid asks a reluctant Shannon to translate notes he took from the French woman, a rising tide threatens to engulf the fuselage and the entire beach encampment, and Rose and a grieving Charlie tentatively bond over Claire's baffling disappearance. 03.01.06 :: 215 "MATERNITY LEAVE" [NEW] A desperate Claire, along with Kate and Rousseau, attempts a return to the scene of her kidnapping where she believes she might find the cure for Baby Aaron's mysterious illness. Meanwhile, Jack and Locke must keep their prisoner a secret from the rest of the survivors. 02.15.06 :: 214 "ONE OF THEM" [NEW] When Rousseau leads Sayid to a mysterious captive in the jungle, he becomes determined to find out if he is one of the "Others." Meanwhile, Sawyer discovers Hurley's potentially devastating breech of the survivors' trust and blackmails him into helping track an elusive island creature that won't leave Sawyer alone. 02.08.06 :: 213 "THE LONG CON" [NEW] Survivors fear that "The Others" may have returned when Sun is injured during a failed kidnapping attempt. 02.01.06 :: 118 "NUMBERS" [R] When Hurley becomes obsessed with the French woman and heads into the jungle to find her, Jack, Sayid and Charlie have no choice but to follow. Meanwhile, Locke asks Claire to help build a mysterious item. 01.25.06 :: 212 "FIRE + WATER" [NEW] When Charlie's vividly surreal dreams lead him to believe Claire's baby, Aaron, is in danger, Locke suspects Charlie may be using again. Meanwhile, Sawyer encourages Hurley to act on his attraction to Libby. 01.18.06 :: 211 "THE HUNTING PARTY" [NEW] Jack, Locke and Sawyer pursue a determined Michael after he heads into the jungle toward the dreaded "Others" in search of Walt. Meanwhile, Sun has a surprising reaction to Jin's desire to join the search party, and Hurley and Charlie commiserate over the age-old conundrum of "what women want." 01.18.06 :: 210 "THE 23RD PSALM" [R - SPECIAL TIME] Mr. Eko interrogates Charlie about the Virgin Mary statue, Claire begins to lose faith in Charlie when she discovers his secret, and Jack is an interested observer when Kate gives the recovering Sawyer a much-needed haircut. 01.11.06 :: 210 "THE 23RD PSALM" [NEW] Mr. Eko interrogates Charlie about the Virgin Mary statue, Claire begins to lose faith in Charlie when she discovers his secret, and Jack is an interested observer when Kate gives the recovering Sawyer a much-needed haircut. 12.28.05 :: 209 "WHAT KATE DID" [R] Kate's original crime that started her life on the run is revealed. Meanwhile, the survivors lay one of their own to rest, Kate sleeplessly watches over a feverish Sawyer, and Mr. Eko has a surprise for Locke regarding the hatch. 12.28.05 :: 208 "COLLISION" [R] Violence erupts when Ana Lucia and her group encounter the other survivors. 12.21.05 :: 207 "THE OTHER 48 DAYS" [R] The harrowing first 48 days in the lives of the tail section survivors are revealed. 12.21.05 :: 206 "ABANDONED" [R] Sawyer's wound becomes life-threatening as he, Michael and Jin make their way through the interior of the island with the tail section survivors. Meanwhile, Shannon is once again haunted by visions of Walt, and Charlie becomes jealous of Locke's interest in Claire. 12.14.05 :: 205 "...AND FOUND" [R] Michael sets off by himself, determined to find Walt, but discovers that he is not alone; Sawyer and Jin's captors demand to be taken to the castaways' camp. 12.07.05 :: 204 "EVERYBODY HATES HUGO" [R] Hurley struggles with an assigned task inside the hatch; Sawyer, Michael and Jin learn the identities of their captors; Claire uncovers a startling piece of information about the fate of the raft. 11.30.05 :: 209 "WHAT KATE DID" [NEW] Kate's original crime that started her life on the run is revealed. Meanwhile, the survivors lay one of their own to rest, Kate sleeplessly watches over a feverish Sawyer, and Mr. Eko has a surprise for Locke regarding the hatch. 11.23.05 :: 208 "COLLISION" [NEW] Violence erupts when Ana Lucia and her group encounter the other survivors. 11.16.05 :: 207 "THE OTHER 48 DAYS" [NEW] The harrowing first 48 days in the lives of the tail section survivors are revealed. 11.09.05 :: 206 "ABANDONED" [NEW] Sawyer's wound becomes life-threatening as he, Michael and Jin make their way through the interior of the island with the tail section survivors. Meanwhile, Shannon is once again haunted by visions of Walt, and Charlie becomes jealous of Locke's interest in Claire. 11.02.05 :: 203 "ORIENTATION" [R] Jack, Locke and Kate learn more secrets about the hatch. Meanwhile, after being beaten and taken captive, Sawyer, Michael and Jin wonder if their captors are fellow survivors or the dreaded "Others." 10.26.05 :: 202 "ADRIFT" [R] Their raft destroyed, Michael, Sawyer and Jin fight for their lives and discover a new predator in the ocean. 10.19.05 :: 205 "...AND FOUND" [NEW] Michael sets off by himself, determined to find Walt, but discovers that he is not alone; Sawyer and Jin's captors demand to be taken to the castaways' camp. 10.12.05 :: 204 "EVERYBODY HATES HUGO" [NEW] Hurley struggles with an assigned task inside the hatch; Sawyer, Michael and Jin learn the identities of their captors; Claire uncovers a startling piece of information about the fate of the raft. 10.05.05 :: 203 "ORIENTATION" [NEW] Jack, Locke and Kate learn more secrets about the hatch. Meanwhile, after being beaten and taken captive, Sawyer, Michael and Jin wonder if their captors are fellow survivors or the dreaded "Others." 09.28.05 :: 202 "ADRIFT" [NEW] Their raft destroyed, Michael, Sawyer and Jin fight for their lives and discover a new predator in the ocean. 09.21.05 :: 201 "MAN OF SCIENCE, MAN OF FAITH" [NEW - SEASON 2 PREMIERE] One of the castaways is chosen to descend into the mysterious hatch; Shannon stumbles upon a shockingly familiar face in the jungle. 05.25.05 :: 124 "EXODUS (PART 2 & 3)" [NEW] Something unexpected at sea surprises those on the raft; the remaining islanders try to blow open the hatch; a visitor to the encampment could be a threat to Claire's infant son. 05.18.05 :: 123 "EXODUS (PART I)" [NEW] The French woman stuns the survivors when she shows up with a dire warning about "the others" as Michael and Jin ready the raft for sailing. 05.11.05 :: 122 "BORN TO RUN" [NEW] Jack suspects foul play when Michael becomes violently ill while building the raft. Meanwhile a secret from Kate's past is revealed, the mysterious hatch is shown to a few of the survivors, and Walt gives Locke a warning. 05.04.05 :: 121 "THE GREATER GOOD" [NEW] The events that landed Sayid on Flight 815 play out as he engages Locke in a psychological game of cat and mouse to uncover the truth about the mishap that claimed Boone. Meanwhile, Kate struggles to keep Jack from acting on his rage, as Shannon also makes plans for her brother's alleged killer; and Sawyer proves to be the best thing for Claire's very unhappy baby. 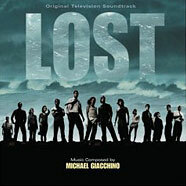 04.27.05 :: "LOST: THE JOURNEY" [NEW] A one-hour special designed to bring new viewers up to speed and to give a refresher course to the regular audience. The special will focus on the stories and backstories of Jack, Kate, Sawyer, Locke, Charlie and Sayid. 04.20.05 :: 115 "HOMECOMING" [R] Claire returns with no recollection of the plane crash or anything that has happened since; Jack and Locke formulate a plan to defend Claire against her kidnapper, who threatens to kill off other survivors unless Claire is returned to him. 04.13.05 :: 114 "SPECIAL" [R] Violence ensues and a mysterious island beast makes a re-appearance when Michael and Locke clash over Walt's upbringing. Meanwhile, Charlie is tempted to read the missing Claire's diary, and Sayid enlists Shannon to help decipher the French woman's map. 04.06.05 :: 120 "DO NO HARM" [NEW] Claire goes into labor as Jack tends to another survivor; Sayid presents Shannon with a romantic surprise. 03.30.05 :: 119 "DEUS EX MACHINA" [NEW] Locke begins to suffer physical difficulties as he and Boone try to find a way into the hatch; Jack is reluctant to offer assistance when Sawyer begins to experience excruciating headaches. 03.23.05 :: 113 "HEARTS AND MINDS" [R] When Locke learns that Boone wants to tell their "secret" to Shannon, Shannon's life is placed in sudden peril, and the shocking truth about her past with Boone is revealed. Meanwhile, Kate is puzzled by Sun's mysterious behavior, and a hungry Hurley must repay a debt to Jin. 03.16.05 :: 112 "WHATEVER THE CASE MAY BE" [R] Jack, Kate and Sawyer fight over possession of a newly discovered locked metal briefcase which might contain insights into Kate's mysterious past. Meanwhile, Sayid asks a reluctant Shannon to translate notes he took from the French woman, a rising tide threatens to engulf the fuselage and the entire beach encampment, and Rose and a grieving Charlie tentatively bond over Claire's baffling disappearance. 03.09.05 :: 111 ""ALL THE BEST COWBOYS HAVE DADDY ISSUES" [R] :: Survivors wonder why Charlie and the pregnant Claire have been abducted - and by whom - and a search party ventures into the treacherous jungle to try to find and rescue the missing duo. Meanwhile, inner-demons about his father resurface for Jack, and Boone and Locke discover another island mystery. 03.02.05 :: 118 "NUMBERS" [NEW] When Hurley becomes obsessed with the French woman and heads into the jungle to find her, Jack, Sayid and Charlie have no choice but to follow. Meanwhile, Locke asks Claire to help build a mysterious item. 02.23.05 :: 117 "...IN TRANSLATION" [NEW] Michael and Jin's mutual contempt escalates when Michael accuses Jin of burning down the raft the survivors had been building. 02.16.05 :: 116 "OUTLAWS" [NEW] Kate and Sawyer bond as they search for a wild boar that Sawyer swears is harassing him; Hurley and Sayid worry that Charlie is losing it after his brush with death; a shocking prior connection between Sawyer and Jack is revealed. 02.09.05 :: 115 "HOMECOMING" [NEW] Claire returns with no recollection of the plane crash or anything that has happened since; Jack and Locke formulate a plan to defend Claire against her kidnapper, who threatens to kill off other survivors unless Claire is returned to him. 02.02.05 :: 110 "RAISED BY ANOTHER" [R] :: Jack, Kate and Charlie wonder if Claire's disturbing nightmares might be coming true to threaten her life and the life of her unborn child, and a missing castaway returns with frightening news about what lies just beyond the mountains. 01.26.05 :: 109 "SOLITARY" [R] :: Sayid's life is placed in grave danger after he stumbles upon the source of the mysterious French transmission. Meanwhile, Hurley has a ridiculous plan to make life on the island a little more civilized - and it just might work. 01.19.05 :: 114 "SPECIAL" [NEW] Violence ensues and a mysterious island beast makes a re-appearance when Michael and Locke clash over Walt's upbringing. Meanwhile, Charlie is tempted to read the missing Claire's diary, and Sayid enlists Shannon to help decipher the French woman's map. 01.12.05 :: 113 "HEARTS AND MINDS" [NEW] When Locke learns that Boone wants to tell their "secret" to Shannon, Shannon's life is placed in sudden peril, and the shocking truth about her past with Boone is revealed. Meanwhile, Kate is puzzled by Sun's mysterious behavior, and a hungry Hurley must repay a debt to Jin. 01.05.05 :: 112 "WHATEVER THE CASE MAY BE" [NEW] Jack, Kate and Sawyer fight over possession of a newly discovered locked metal briefcase which might contain insights into Kate's mysterious past. Meanwhile, Sayid asks a reluctant Shannon to translate notes he took from the French woman, a rising tide threatens to engulf the fuselage and the entire beach encampment, and Rose and a grieving Charlie tentatively bond over Claire's baffling disappearance. 12.29.04 :: 107 "THE MOTH" [R] :: Charlie begins a painful journey of withdrawal from drugs, surprisingly aided by Locke, whose true motive for helping Charlie is a mystery. Meanwhile, survivors struggle to find and free Jack when he's buried alive in a cave collapse, and someone might be secretly thwarting Sayid, Kate, and Boone when they enact a plan to find the source of the French transmission. 12.29.04 :: 108 "CONFIDENCE MAN" [R] :: When Shannon suffers an asthma attack, Jack and Sayid realize brutality might be the only way to convince Sawyer to relinquish the life-saving medicine he's hoarding. Meanwhile, Sun struggles to decide if she'll obey husband Jin's orders to stay out of others' affairs, and Kate uncovers some shocking secrets about Sawyer. 12.22.04 :: 105 "WHITE RABBIT" [R - SPECIAL TIME] :: Jack is near delirious from lack of sleep and struggles to overcome the haunting events that brought him to Australia and, subsequently, to the island. Meanwhile, Boone gets caught in a treacherous riptide, the pregnant Claire's health takes a bad turn, and a thief may have stolen the last bottles of water. 12.22.04 :: 104 "WALKABOUT" [R] :: Survivors are jolted awake in the middle of the night when wild island beasts invade the beach encampment. Kate and Michael join the mysterious Locke on a hunt for food - and a shocking secret about Locke is revealed. Meanwhile, some survivors are horrified by Jack's plan for the dead bodies still scattered among the wreckage, and Jack sees someone in the jungle who might not have been on the plane. Also, Jack flashes back at 12 years old, to find himself on the playground in an altercation with a bully, who ultimately beats him up, and later learns a life lesson from his father. 12.08.04 :: 111 ""ALL THE BEST COWBOYS HAVE DADDY ISSUES" [NEW] :: Survivors wonder why Charlie and the pregnant Claire have been abducted - and by whom - and a search party ventures into the treacherous jungle to try to find and rescue the missing duo. Meanwhile, inner-demons about his father resurface for Jack, and Boone and Locke discover another island mystery. 12.01.04 :: 110 "RAISED BY ANOTHER" [NEW] :: Jack, Kate and Charlie wonder if Claire's disturbing nightmares might be coming true to threaten her life and the life of her unborn child, and a missing castaway returns with frightening news about what lies just beyond the mountains. 11.19.04 :: Matthew Fox on Late Late Show. 11.17.04 :: 109 "SOLITARY" [NEW] :: Sayid's life is placed in grave danger after he stumbles upon the source of the mysterious French transmission. Meanwhile, Hurley has a ridiculous plan to make life on the island a little more civilized - and it just might work. 11.10.04 :: 108 "CONFIDENCE MAN" [NEW] :: When Shannon suffers an asthma attack, Jack and Sayid realize brutality might be the only way to convince Sawyer to relinquish the life-saving medicine he's hoarding. Meanwhile, Sun struggles to decide if she'll obey husband Jin's orders to stay out of others' affairs, and Kate uncovers some shocking secrets about Sawyer. 11.03.04 :: 107 "THE MOTH" [NEW] :: Charlie begins a painful journey of withdrawal from drugs, surprisingly aided by Locke, whose true motive for helping Charlie is a mystery. Meanwhile, survivors struggle to find and free Jack when he's buried alive in a cave collapse, and someone might be secretly thwarting Sayid, Kate, and Boone when they enact a plan to find the source of the French transmission. 10.27.04 :: 106 "HOUSE OF THE RISING SUN" [NEW] :: Walt and the others are shocked when Michael is brutally beaten, but only the non-English-speaking Jin and Sun know the truth behind the attack. Meanwhile Kate, Jack, Sawyer and Sayid argue about where the survivors should camp: on the beach, where they're more likely to be seen, or in a remote inland valley where fresh water abounds; and Locke discovers Charlie's secret. 10.20.04 :: 105 "WHITE RABBIT" [NEW] :: Jack is near delirious from lack of sleep and struggles to overcome the haunting events that brought him to Australia and, subsequently, to the island. Meanwhile, Boone gets caught in a treacherous riptide, the pregnant Claire's health takes a bad turn, and a thief may have stolen the last bottles of water. 10.13.04 :: 104 "WALKABOUT" [NEW] :: Survivors are jolted awake in the middle of the night when wild island beasts invade the beach encampment. Kate and Michael join the mysterious Locke on a hunt for food - and a shocking secret about Locke is revealed. Meanwhile, some survivors are horrified by Jack's plan for the dead bodies still scattered among the wreckage, and Jack sees someone in the jungle who might not have been on the plane. Also, Jack flashes back at 12 years old, to find himself on the playground in an altercation with a bully, who ultimately beats him up, and later learns a life lesson from his father. 10.07.04 :: Entertainment Tonight segment on LOST. 10.06.04 :: 103 "TABULA RASA" [NEW] :: Jack and Hurley discover an alarming secret about Kate, as the marshal's life hangs in the balance. Meanwhile Kate, Charlie, Sawyer, Sayid, Boone and Shannon ponder the island's mysteries they've uncovered and worry that telling the other survivors will cause panic, and Locke's befriending of Walt disturbs Michael. 09.29.04 :: 102 "PILOT (PART 2)" [NEW] :: The discovery of a transceiver among the plane's wreckage and the thought that rescue could be imminent temporarily raises the castaways' spirits. And the island's mysteries continue to baffle with the discovery of handcuffs, a gun and an animal that shouldn't be able to survive in a tropical climate. 09.22.03 :: 101 "PILOT (PART 1)" [NEW] :: Out of the blackness the first thing Jack senses is pain. Then burning sun. A Bamboo forest. Smoke. Screams. With a rush comes the horrible awareness that the plane he was on tore apart in mid-air and crashed on a Pacific island. From there it's a blur, as his doctor's instinct kicks in: people need his help. Stripped of everything, the 48 survivors scavenge what they can from the plane for their survival. Some panic. Some pin their hopes on rescue. A few find inner strength they never knew they had�like Kate who, with no medical training, suddenly finds herself suturing the doctor's wounds. The band of friends, family, enemies and strangers must work together against the cruel weather and harsh terrain. But the intense howls of the mysterious creatures stalking the jungle fill them all with fear. Fortunately, thanks to the calm leadership of quick-thinking Jack and level-headed Kate, they have hope. But even heroes have secrets, as the survivors will come to learn.